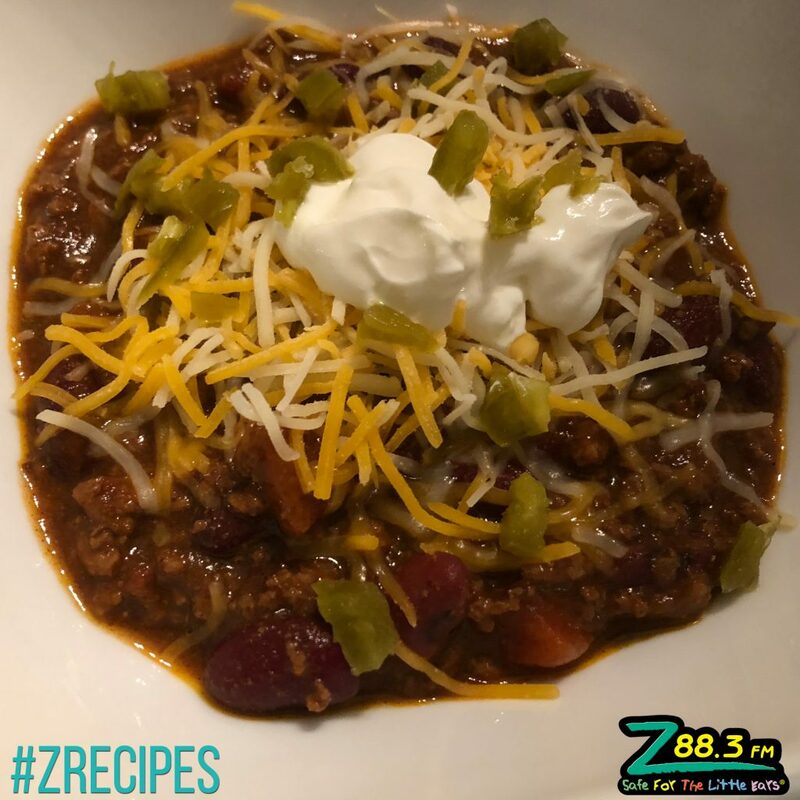 Chili is a fun dish to make when it’s cold outside! My momma always used the packet until she realized we could save money by making our own. She also used it as a teaching moment for me to learn how to measure and work with fractions. 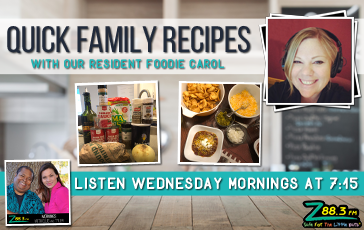 What I’ve found by making my own is that I can control the salt and preservatives that go into the food my family makes. 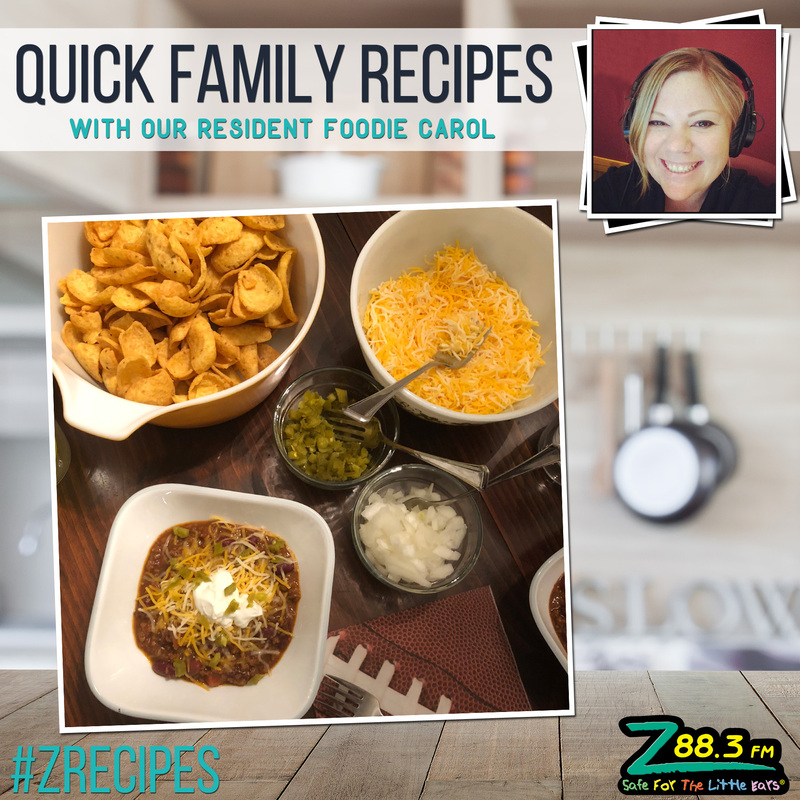 This is also a fun dish to make for game day. 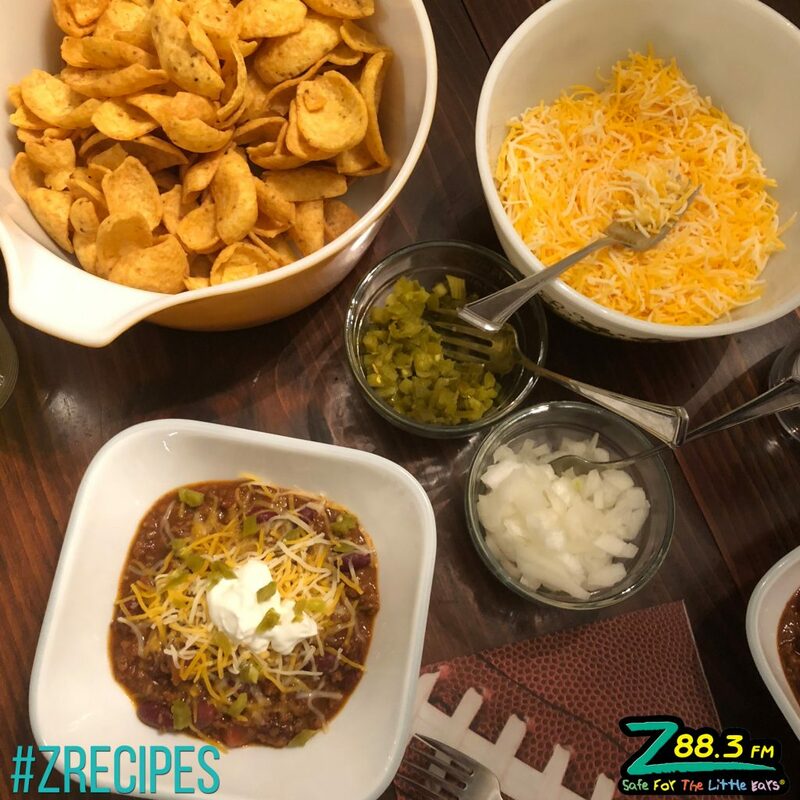 Make a huge pot of it and then set up a toppings bar for your friends and family to enjoy during the game. It makes a super impressive spread and is also great served with the Skillet Cornbread we made last week. 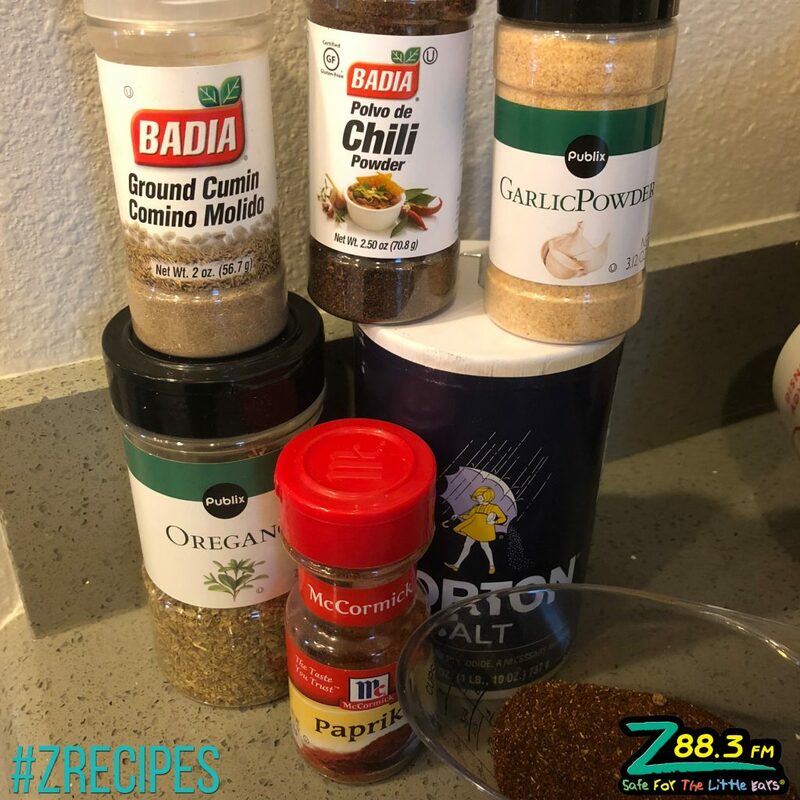 Chili Seasoning Spice Blend – 1/3 Cup Chili Powder, 2 Tbsp Paprika, 1 Tsp Cumin, 1 Tsp Garlic Powder, 1 Tsp Oregano and 1 Tsp Salt. Optional: Add 1/4 to 1 Tsp of Cayenne Pepper if you like the kick. 1 Cup of Water and 1/3 Cup of Water Separated. 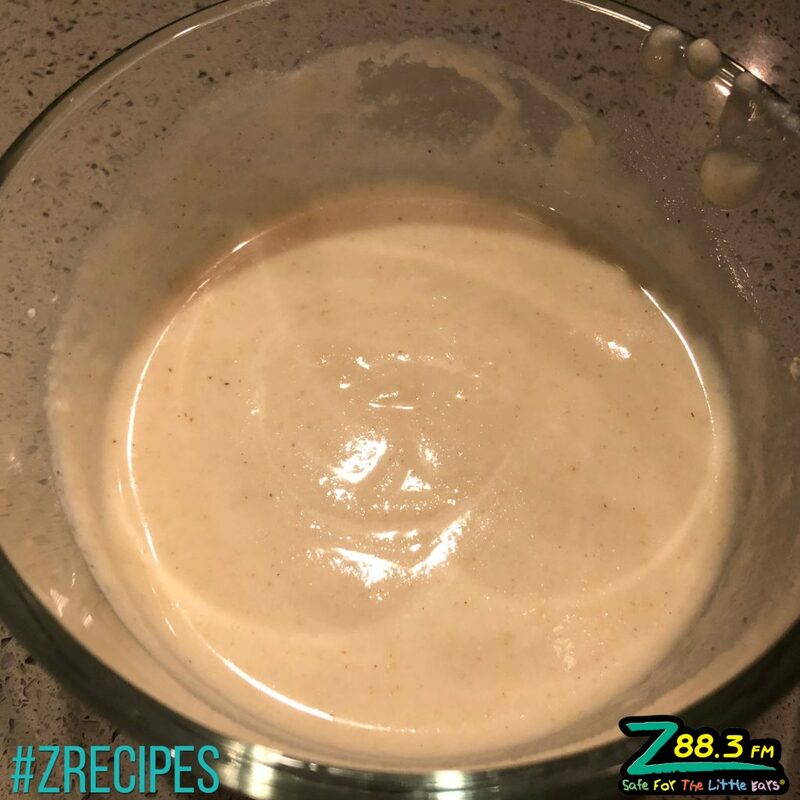 In a bowl, mix together the Chili Seasoning Spice Blend (1/3 Cup Chili Powder, 2 Tbsp Paprika, 1 Tsp Cumin, 1 Tsp Garlic Powder, 1 Tsp Oregano and 1 Tsp Salt. Optional: Add 1/4 to 1 Tsp of Cayenne Pepper if you like the kick). That’s going to make your chili seasoning! Set aside. 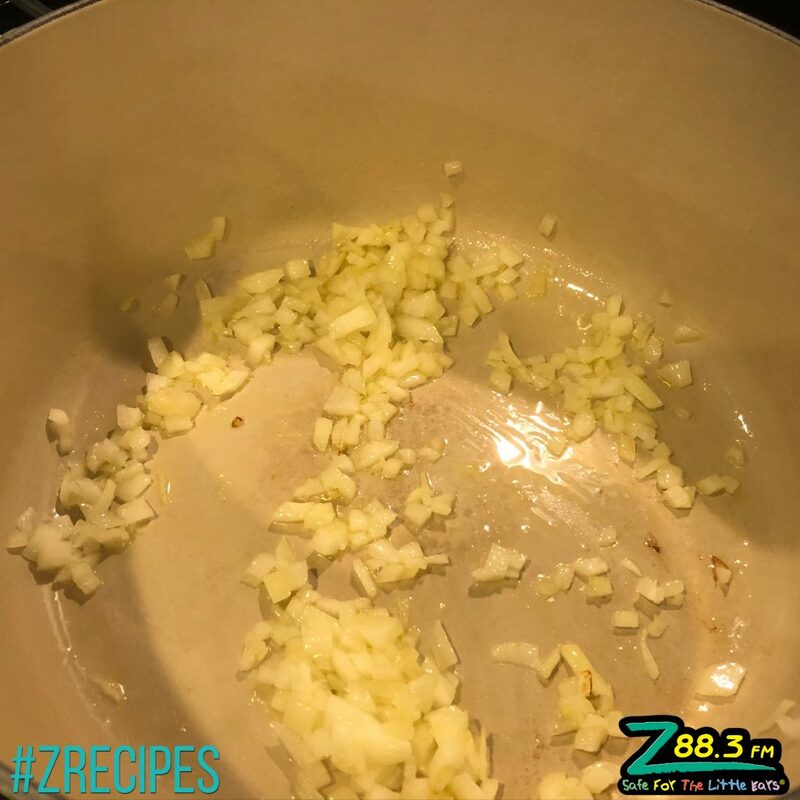 In a large pot, add olive oil to the bottom and then add your chopped onion to the pan. 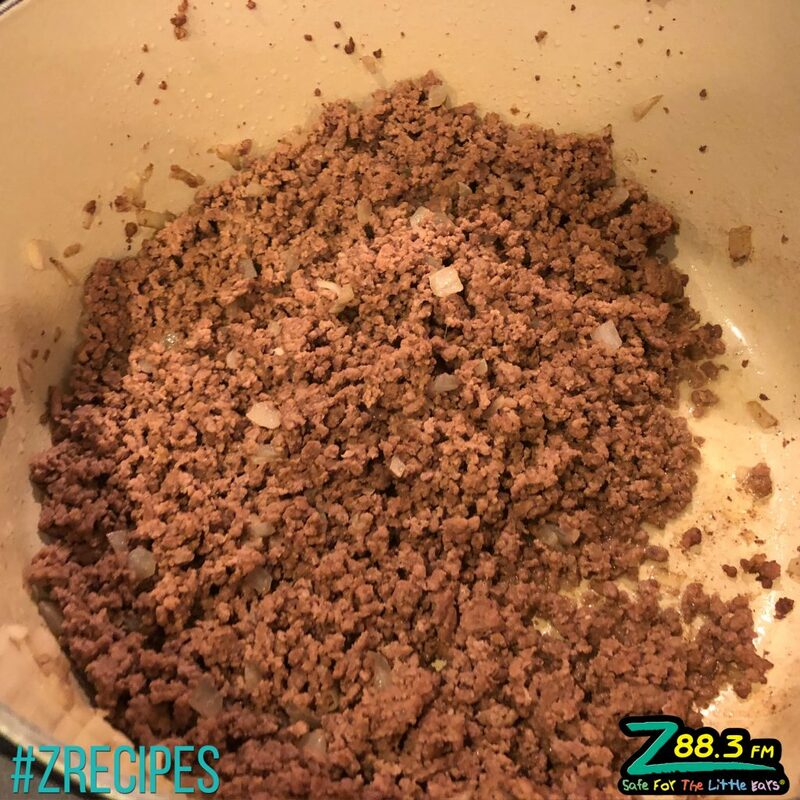 Let your onion cook down a little bit before adding your ground beef. 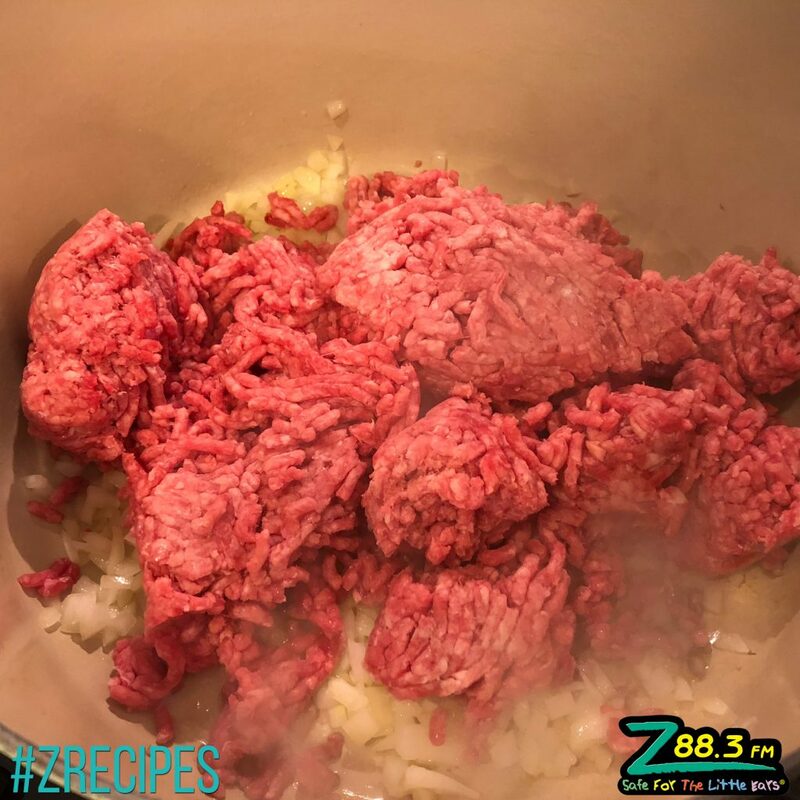 Brown your ground beef, then drain out the extra liquid before adding anything else to the pot. 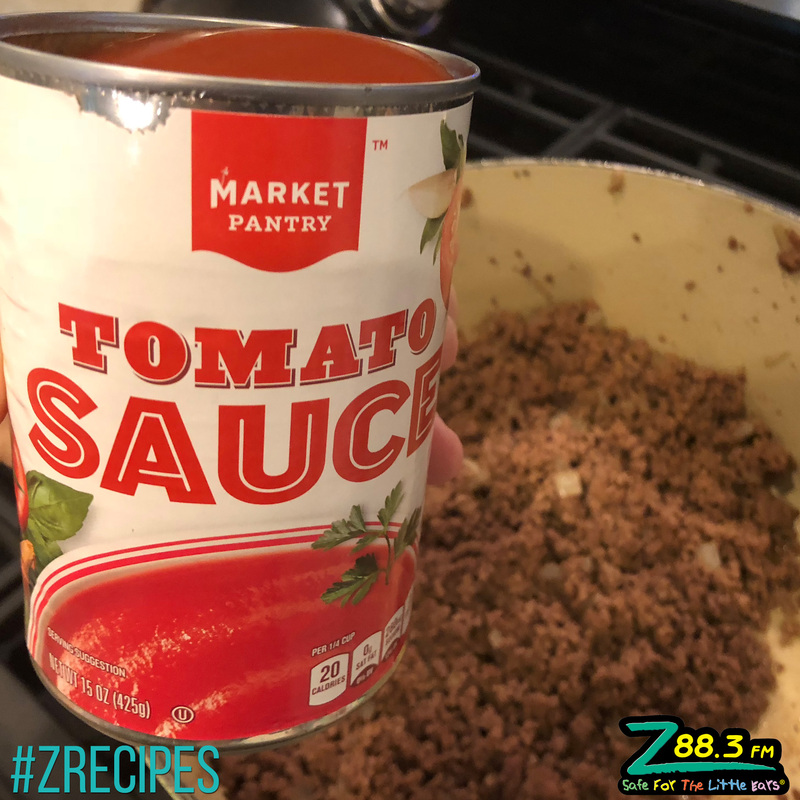 Add in your 28 oz can of crushed tomatoes (even though pic shows smaller can of sauce, it’s what I had in my pantry…Trust me, it’s much better when you use the 28 oz can of crushed tomatoes instead of adding more water. 😉 ) and a can of Rotel. 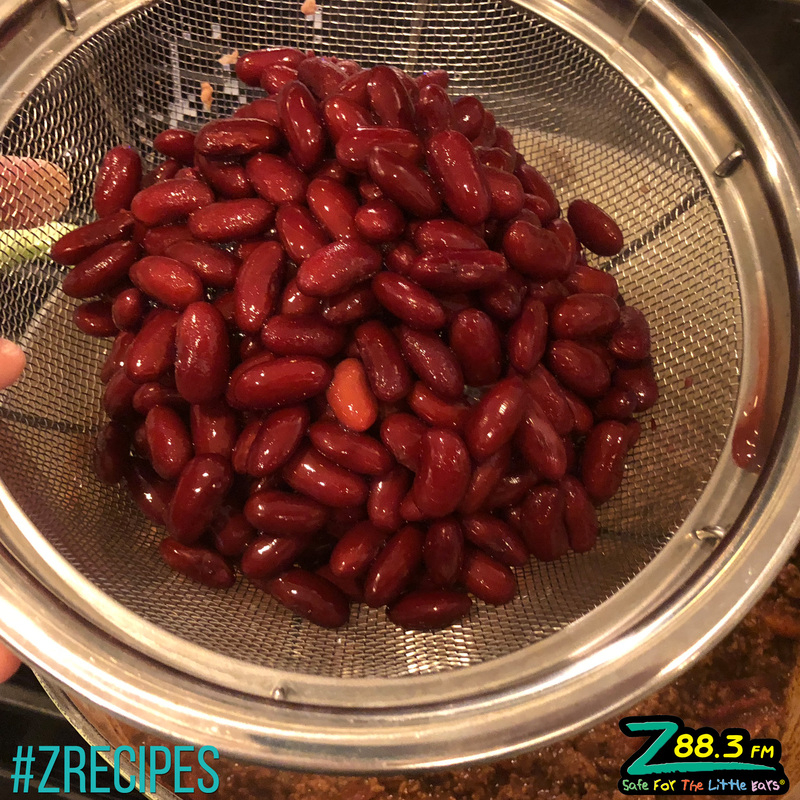 Add in your 2 cans of drained Dark Red Kidney Beans. Dump in 1 cup of water (reserving the 1/3 cup for later). 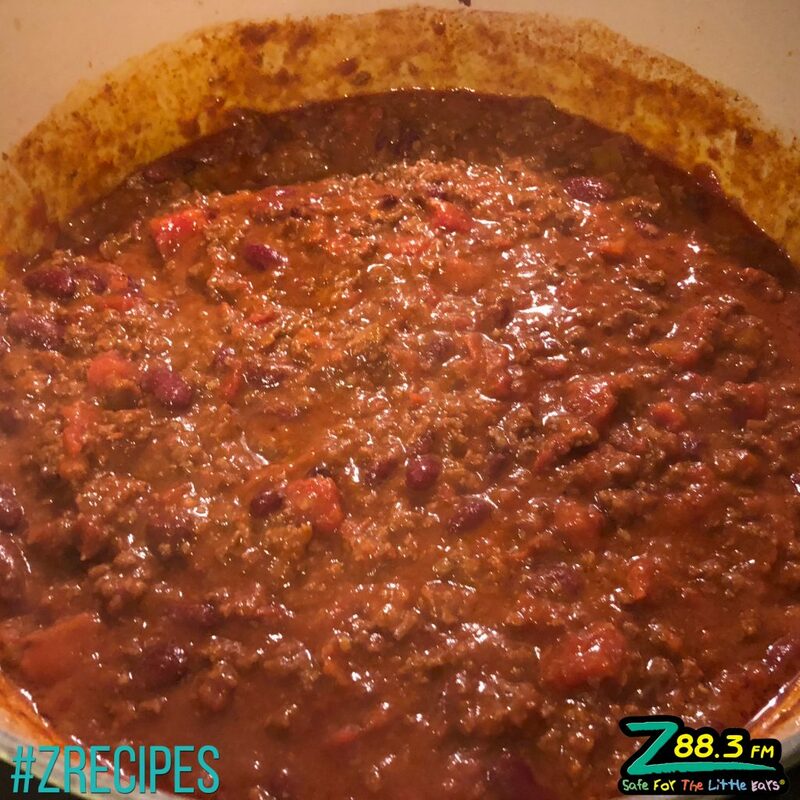 Stir in your spice mix and let simmer for 15-20 Minutes. 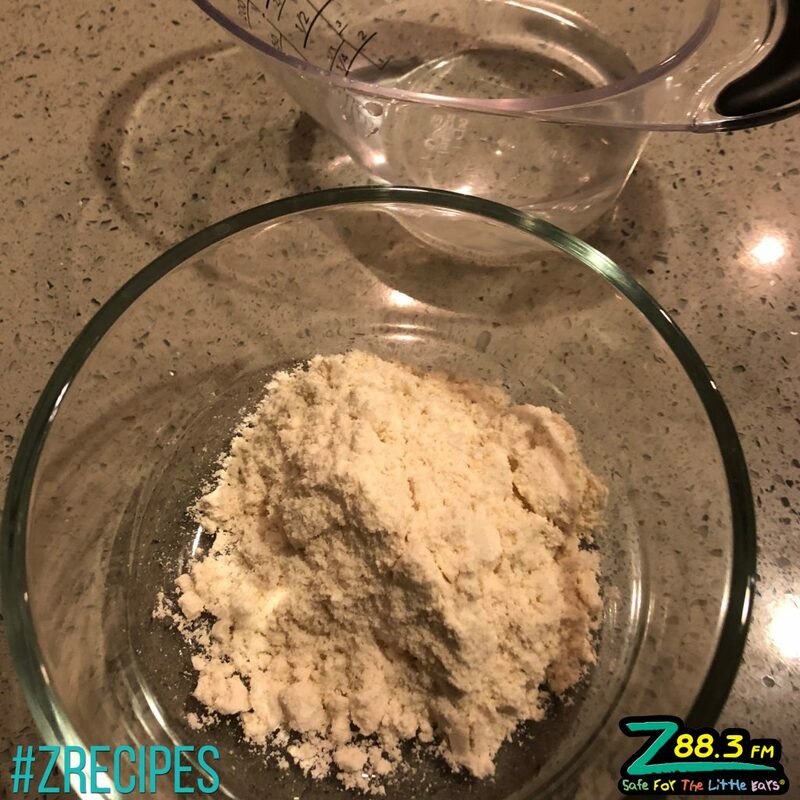 In a bowl, take your 1/4 cup of Mesa Flour and mix together with 1/3 cup of water. Use a fork to stir together and get rid of the lumps. 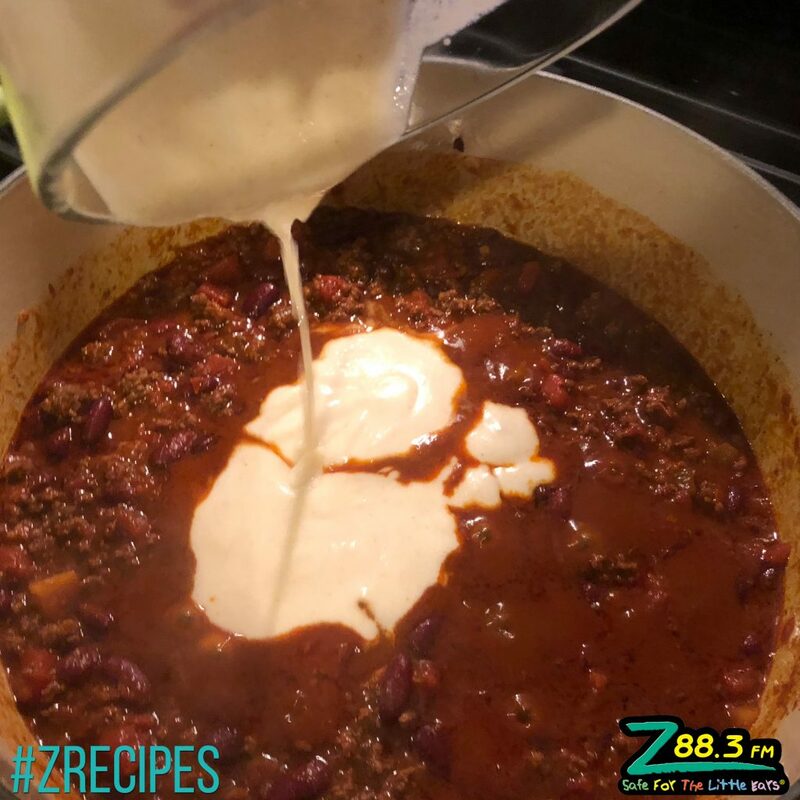 Pour your Mesa Mixture into your chili stir together. 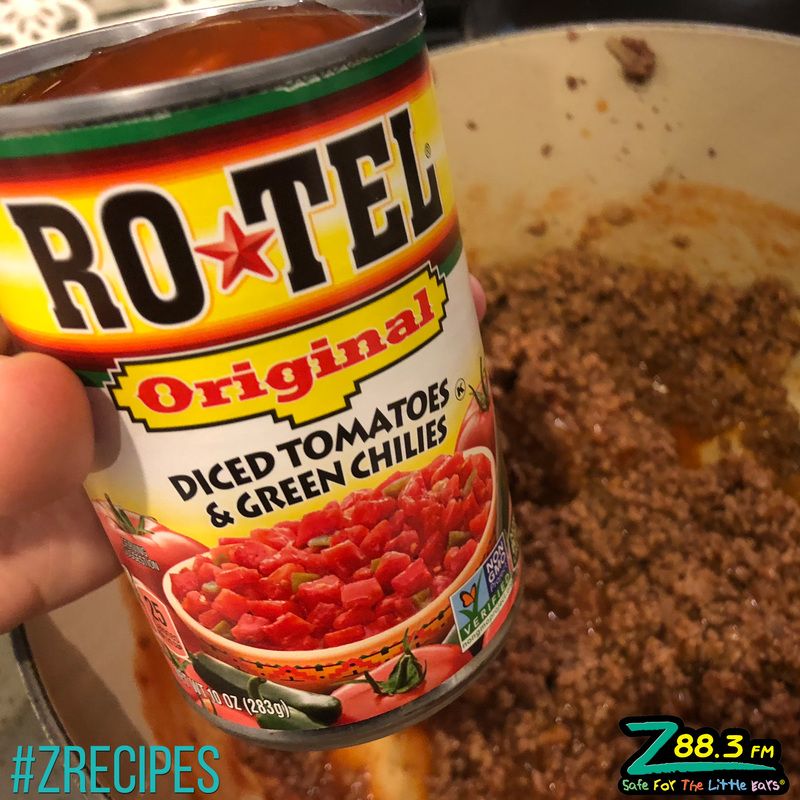 This is going to thicken up your chili! 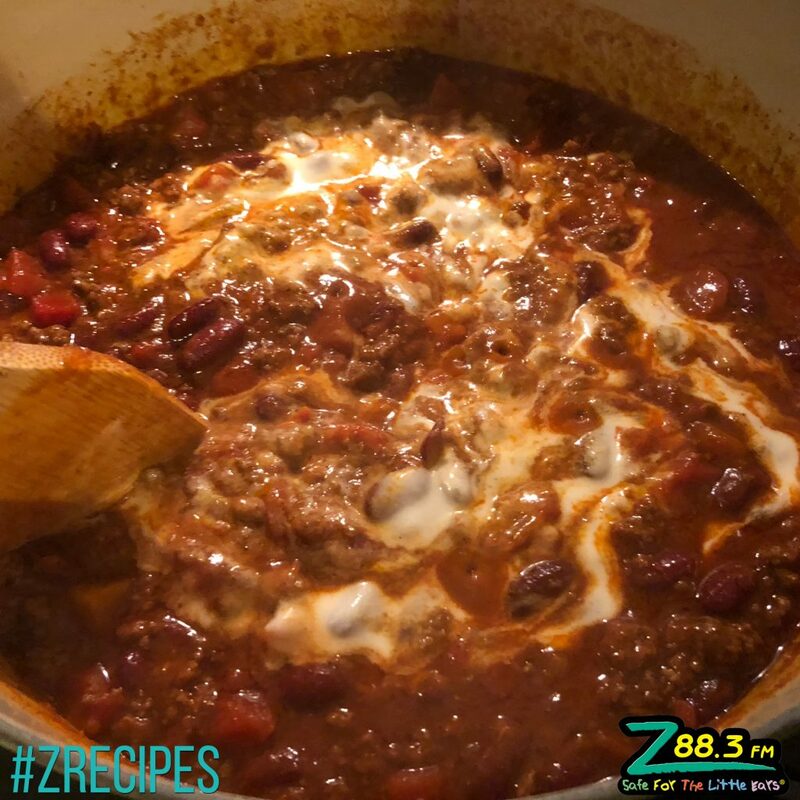 Let simmer for another 5-10 minutes and you’ve got the best chili ever made! 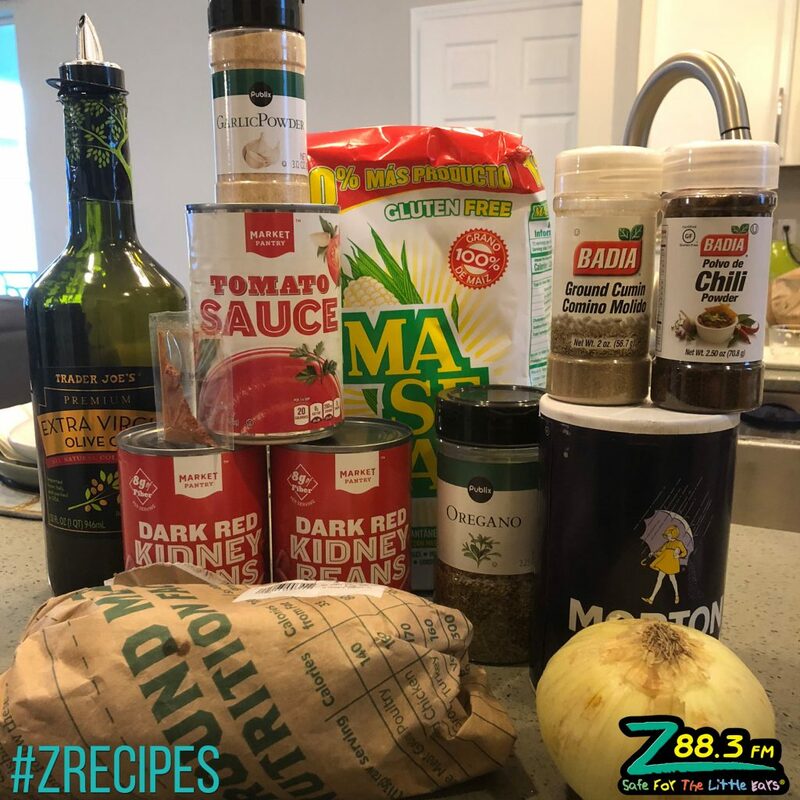 Ellis and Tyler would love to see how much fun you have making your chili or setting it up for a party… You can share your pics on the Z88.3 Mornings Facebook Page!